Sans Detour is working on bringing back Confrontation, a game that I know many of you have fond memories for. The minis were certainly pretty. 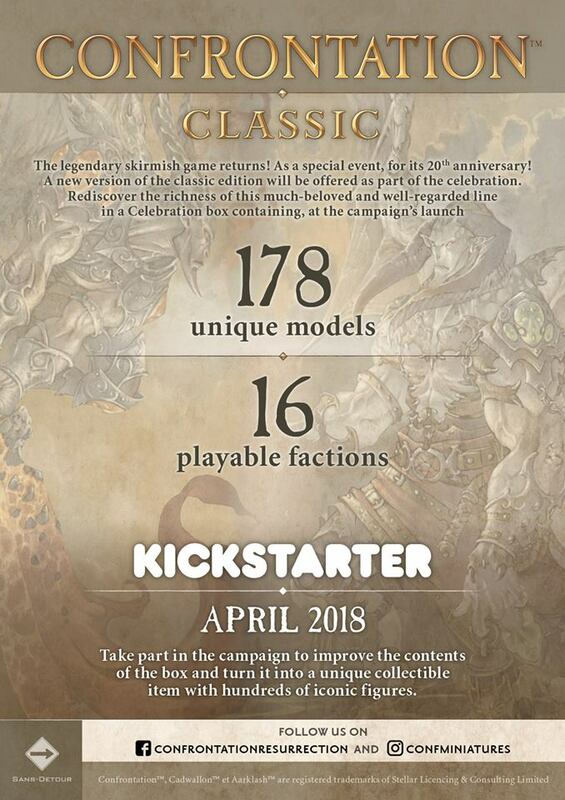 Well, they've given us some more information about what you can expect when the Kickstarter goes live in April. They're letting us know about the number of minis and factions and man... it's a lot of 'em. Kinda letting the graphic do the talking there.